Scone occupies a special place in Scottish History as the location where Scottish monarchs were crowned and its association with the famous Stone of Destiny. However, these links do tend to overshadow the rest of Scones history such as the moving of the original village to a site two miles east - one of the most dramatic and complete new town developments, and it took place in the early 1800s! 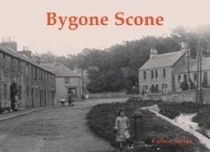 This book gives the full story of Scone and features over fifty photographs from the early years of the twentieth century.